So many things to celebrate, and so many ways to celebrate! Thank you to everyone who posted. This week’s Open House really has been a potpourri of holidays, speaking to a broad range of human experience: joy, sadness, family, loneliness, solitude, reverence, and simply fun. Then read more of Ms. Peaches’ blog at: http://peachpitproduction.wordpress.com/2010/12/28/like-none/. Thank you Jingle for counting me worthy to be included into your Promising Poets 'Meet the Poet' session and for lifting up the veil of elusiveness which I have accidentally cloaked myself in since the inception of this blog. To begin with, I am banana skin, English had never been my mother tongue and I have never studied poetry. 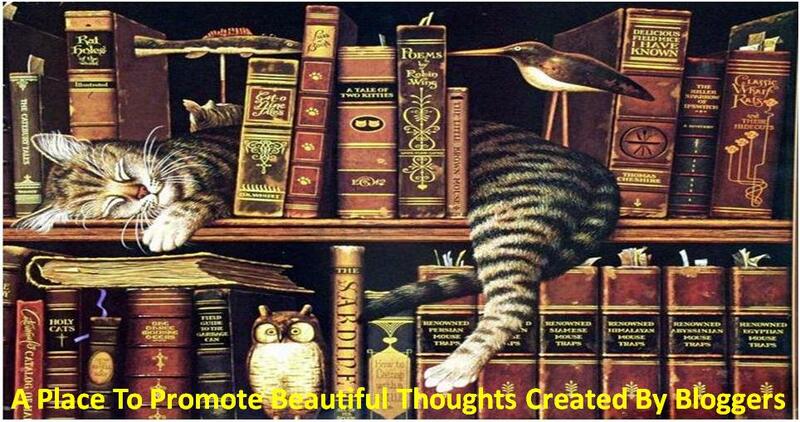 I was drawn to poetry by chance but since young, I admire great captions, slogans and wordplay. My first and last writing experience began and ended with a slogan competition in which I won the first prize and a trip to Europe back in 1993 before this blog came about. As a student, I was trained in Interior Design and currently, I am fulfilling my lifelong dream of building and selling boutique bungalows for a living. I share the same hometown with shoe extraordinaire Jimmy Choo and the queen of squash Nicol David in the sunny island called Penang- a Unesco listed cultural city situated off the north western coast of Malaysia famous for its food and I live amidst swaying palms and colonial settings. Besides poetry writing, I think I cook better than I write! How did your blog come about? Do you remember the time you write your first poem? Please tell us a little bit of your blog and what it means to you. My poetry blog captures the most fanta-bulous and theatrical period of my life and it chronologically stage all the drama and shadow play deliberated in between. There is a lot of emotions encapsulated inside it and it is very precious to me. I look forward to have my poems published one day! Do you write more than just poetry? What else do you write? Besides poems, I write cheques. Well, (haha! just kidding) I supposed if I can squeeze in more hours in the future, it would probably be longer poems. Mine is like a mini skirt, short and sweet! My favorite poem? It depends on where the ball landed on the roulette table. At this moment I should say "tale from the sky"?! a fall down its leaves..
a drip into the river..
And we are very glad you share your work with Jingle Poetry Potluck! What style of poem do you write the most? My pleasure. I am not acquainted with styles or technical jargons known to trained poets and therefore I write unrestrictedly. When do you write the most? When you are happy, sad, lonely, day or night? I write at no particular time. But yes, I would say feelings and emotions of the moment play a big part as to when I write. Do you have a favorite poet or a favorite poem by them? Why? No I don't. I never read poems by others except the writings of our talented fellow blogger poets. Do you enjoy reading books? What are the best books you ever read? Yes, I do enjoy reading and I must say that 99.9% of the time, I am inclined to read books on facts rather than fiction. I was not built with a lot of patience and that is the reason why I have never touched a single novel in my whole life! What poets in the blogo-sphere do you like to read or visit most? Among the talented poets out there, I should say my muse's writing interest me most. She is none other than sophiasticated.wordpress.com. She seldom writes though but when she does, it is often a masterpiece! Her piece de raisoinne is "First Time". Read it and you will know why! I also thought that 'almondjoycie' is an incredible rhymer and 'bing', 'desiree' as well as 'imagina' is very versatile. I happen to know all of the poets you mentioned here, most of them have been active both in Thursday Poets Rally and Potluck Poetry…Thanks for reminding me of them and their work. Excellent poet bloggers indeed. while my right hand is warm. My muse gave me inspiration and I can focus anywhere. When I am not with my laptop, I am also comfortable jotting down my thoughts on star bucks serviettes or saving them into my mobile phone. You have been with Jingle Poetry Potluck for quite a while. What are the benefits of you participating it? Are you a member of any other poetry communities? This potluck gives writers like me an opportunity to post my earlier works. It also gives me the opportunity to mingle with others who speak a common lingo. Furthermore, the awards that came with it are aptly designed and a morale booster. I join other poetry communities such as Poets United as well. Do you like music? Who is your favorite musician? Why? I love music but I don't have any favorite musician. Never write in pursuit of fame. Never write to please your audience. Never plagiarize. Write because you enjoy writing. Write to please yourself. Be yourself. Do you enjoy humor? what's your favorite joke? Yes I love humor but I don't have a favorite joke. I love poetry because it records life. We will give this place some peace and come back on January 8th, 2011…See You Then! Jingle is the pen name of the sweetest person “Ji”, a blogger from United States who enjoys reading, traveling, and writing. She says that she is here to share some of the insights that she have gained in her life span and invites her fellow bloggers to join the journey of adventures, humors, math, hope and surprises. I am nobody to tell about her wonderful creative Poetry or the way she binds us in many wonderful spaces or the support she gives to blogging communities. Apart from her blogging career, professionally she has earned two Masters Degree and a Ph D Candidate. One of the Masters Degree is in Math and the other in Education and her love for Math is immeasurable as you could see it in her Math posts. Well, Ji has been interviewed by Poets United, Magic Backyard - Kellie, Exposure Worthy and in Ibok’s Tribe Sunday. Jingle | (words, adventures, poetry, math, hope & healthy living) where she pens down her creative thoughts, expresses her love on math, appreciates her fellow bloggers via awards and she stretches her supportive hand to all the poetry communities. A mind-blowing blog that inspires many poetry hearts and souls that blends to form a magical poetry world. With Twenty Ten template as base, Ji has modified theme color to black and header image, and with snow, the blog looks very chill. She has used few widgets like recent posts and comments to add a pearl to the treasure. The blog consists of 18 pages and most of them supporting the blogging communities. In brief, About ME says ‘Who is Jingle’, About You says ‘Who are us’; Haiku shows her love and passion towards Haiku (one of her favorite form of poetry), Math shows her love towards it. The archive of her blog says that she pens down from November 2009. Just Giggle A Little, the magical journey started from here as she painted her insights that she have gained in her life span and her journey of adventures, humors, and surprises as poems. Ji just over a year in blogging has written an unbelievable count of poems (558, 155) and to pick a few from them is highly impossible. However, my personal favorite is ‘Be true’ out of all the huge numbers. Ji writes for all the meme blogs and Poetry communities as far as I know… Ji owns Thursday Poets Rally (Promising Poets Parking lot) and Jingle Poetry. Ji you can add more widgets like Tag Cloud, Popular Posts, Blog Stats etc. You can also create a Facebook and Twitter page for your wonderful blog. This is Someone Is Special, the author of Few Miles, hosting Review Tuesdays along with Leo (Leonnyes) of I Rhyme Without Reason. Enjoy the beautiful wonderful creations of Ji as I do. Have fun! Jingle Poetry Rocks! 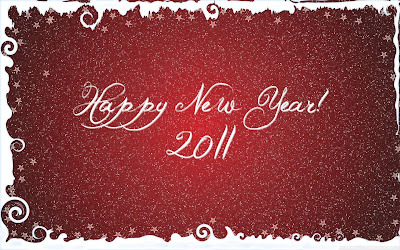 Wish you all a very Happy New Year 2011 ! ! ! On Behalf of Review Tuesdays & Jingle Poetry ! POETRY POTLUCK - Celebrations and Festivities!!!! Welcome Monday... Welcome Poetry Potluck!!!! We (Amanda and Kavita) are as pleased as ever to welcome you here... Before we break for the New Year, let's rejoice with some Celebrations and Festivities!!!!! Tech. Sgt. Jennifer Myers (above), 66th Air Base Wing noncommissioned officer in charge of the U.S.Military Equal Opportunity office, demonstrates a Kwanzaa ritual where she lights a candle in the Kinara. Kwanzaa (December 26- January1): in the US and Angola, celebrates the seven principles of blackness, one principle each day of the week: Unity, Self-determination, Collective Work and Responsibility, Cooperative Economics, Purpose, Creativity, and Faith. The Tournament opens on 5 January 2011. Have a look at the last year’s winning entries to get an idea of what impressed the judges: The Odyssey; Good Morning Midnight; Don Quixote; Cloud Atlas; Speak, Memory; In Search of Lost Time (Vol.1); Something Wicked This Way Comes. To be eligible for a prize, you need to complete a full profile of a mainstream published book. Details are here: Contributor Guidelines. The deadline for entries is 30 April 2011. The following are samples profiles: Riding the Ice Wind by Alastair Vere Nicoll. Profile by Vincent One and Revolutionary Road by Richard Yates. 2.) WINNING WRITERS’ NEWSLETTER: maintains a DATABASE of writing contests. JAMIE: The name of your blog, Shadow Dancing With Mind, is evocative. How did you come to it? SHASHI: Most of the time, we don’t differentiate between the inner-self and the mind. We believe that we are the mind that is taking input from sense organs not the one that is beyond the mind, that one aspect which thinks. Over the centuries, many philosophers have thought about this, including our own ancient Indian scriptures like the Vedas, Puranas and Bhagwat Gita and realized that it’s not the body but some thing beyond the physical existence, does exist. Some call it sub-consciousness, inner-self, soul etc. René Descartes tried to make that point in his famous quote “I think, there for I am.” I firmly believe in this inner-self existence and the blog’s name came from the process of that exploration. As mind thrives on chaos, flitting from one thought to another, one pleasure to another, it was a hard journey. Every time I am reaching closer to inner-self, mind throws up new chaos, sense pleasure or flood of desires, emotions or cravings in order to divert attention… hence I ended up shadow dancing with mind as they do in the popular sports boxing, fighting with one’s own shadow…. JAMIE: You clearly love poetry and are a fine poet, but have chosen to cover multiple subjects, to do articles as well as poems, and to use a magazine format. What made you decide to do this instead of a strictly poetry blog? SHASHI: I am passionate about reading, writing, and photography and have been working in the field of interior design for a long time now. I realize that it’s all about creativity, a way of expressing your inner-self. It’s just that in all these forms the medium or the language of expression is different. That is one part of my blog where I do manifest my thoughts in physical form in terms of poetry, haiku, or a book that is serialized, Yogi Baba – A Story Untold. The other part of the blog is about sharing. I wanted to share - my thoughts, ideas and creativity - but also what has influenced me over the years. Maybe this will help some one somewhere some time to give expression to their feelings, emotions, and creativity. Perhaps it will influence or trigger their creativity as it has influenced my thinking. Even if one person who gets inspired by my features at blog about books, music, artists, movies etc, I would probably achieve, what ultimate cosmic design has intended me for this life time. There are so many beautiful things to admire, live, and touch in this beautiful life, this beautiful world. Some times I feel that I am not doing enough too; but then through this blog, at least I am going somewhere … even if in little steps. JAMIE: Are the photographs on you blog - which are fabulous, by the way - yours? What comes first the poem or the picture? Or do they feed each other? SHASHI: Most of the photos on the blog are of my own on the posts that deal with my creativity. When I feature others from net I attribute the source. As I started my journey through the search of inner-self, I travelled to amazing places as I believed that travelling is meditative. The Himalayas, nature, rivers, sea and powerful spiritual places like temples, churches and mosques and so on were places that attracted me. In the beginning, I started taking pictures, to give form to those beautiful experiences that I have had. Slowly I realized that the photographs are inadequate to capture the true essence of my experiences. They gave those powerful places, nature, and emotions a body but not a soul. So I started writing poetry, free form of haiku, thoughts etc. Now, after many years of personal experience, I realize that for me (it’s my specific nature) writing is more fulfilling. Photographs are about past, reliving moments and connecting with them, whereas writing is living that moment in that present. The best advice I can offer to friends about photography is that it’s not about taking pictures. It’s about connecting with that particular present. Take picture of any moment, after living in that present. See through your eyes first, live in that moment, totally immersed, and then try to capture what you see, not what the camera lens is showing. Focus on seeing not on taking pictures. Photography is not about the camera, it’s about your seeing eye. In sum I am passionate about any form of creativity, designs, reading books, travelling, and I love taking pictures. Today, if you ask me, where I am. I am not sure yet, but I am experimenting with and living the life of Karma Yogi. As, I have still not found the right path or the right reason for me. I am practicing Mantra Yoga for peace and positivity in life too. (I actually started teaching the path of Mantra Yoga for meditation to few of very deserving and dedicated people online as well). By way of explanation: Being a Karma Yogi means "do what comes to your table with your 100% sincerity and hard work and then don't worry about the results.” The key point here is "what comes to you" as ourselves, being the part of Universal Consciousness, will attract only right things for us to do. I again firmly believe, is that what is good, or required by Universal Consciousness for us to do, will come to us on its own as our nature will attract it towards us. The second part is “don’t worry about the results,” which means that worry is negative and it will end up attracting negative things for you so you should not worry about things that you have finished doing. This is especially so if in the first place you have had already given your 100% to the work, situation, or things at your table. If you worked hard and with dedication, you could not have done any better. In that case, what is the point of worrying? JAMIE: Thank you, Shashi, for sharing your unique perspective with us today. From 10.01 a.m. Monday December 27,2010 until 10:01 a.m. Saturday January 8, 2011 (CST), think about what you want to have, do and wish for this upcoming new year. After that, use them to create a poem, short fiction, prose or anything you can think of and link them in right at this post! Share your dreams, wish list and wishes over here as the new year comes greeting on us! Do remember to highlight them as well, we want it to be obvious, isn’t it? Thanks to Ji for the birthday updates. Please visit the birthday girls and wish them a good one. STARTS TONIGHT AT 8 P.M.AMERICAN CENTRAL! SHARE 1 TO 3 HOLIDAY CELEBRATION POEMS WITH US! Please include photograph or illustrations and include all necessary links. Thank you! Jamie Dedes here covering for the talented Talon this week. I must say, until now I didn't appreciate the challenge Talon and Bill face each week when they have to choose the Poem of the Week. It's difficult to choose from among Jingle Poetry Potluck poems when so many have so much to recommend them. Mulling it over, I thought: I like this one because it's sweet and romantic, that one because it's technically competent, and that other because it makes a strong activist statement. Which do I choose? A tough decision. Finally, for this week, I decided on Lovely Annie's Untitled - Shadorma. It deserves special attention because of both subject and technical competence. As value added, Annie introduced us to Shadorma, which is a poetic form new to me and I image some others as well. The Shadorma is a syllabic poem of Spanish descent. It is a sestet with no rhyme scheme. 3/5/3/3/7/5. Each Wednesday we try to highlight some of the talented individuals who contribute their time, poetry and words of encouragement. This week we get to meet Daniela Miller a.k.a. Flying Monkey. I’m originally from Germany, Saarland more specifically, which is a tiny county at the border to Luxembourg and France but I’ve been living in the southeast of England for 6 years now. During a sabbatical in 2003/04 I was first backpacking through Australia and then living and working at a Buddhist centre in London. I met my husband there and consequently decided to stay. I am a practising Buddhist and try to spend some time on retreat with my teacher Dzogchen Patrul Rinpoche every year. As for earning a living, I have always worked with children and young people. I have a soft spot for underdogs and the kids that feel like (or most often are made to feel like) they don’t fit in, i.e. I worked with young asylum seekers and immigrants in Germany and in England mainly with children with emotional, behavioural and social difficulties, ADHD, Autism etc. I’ve learned so much from these kids. Recently I have been working in a more strategic role setting up projects for children and young people but will be made redundant at the end of March so who knows what will come next. I’ve started training as a Homeopath and hope to start practising it in a few years time. As a character I’m friendly and curious. I get bored very easily and always need change and new ideas that grab my attention. I love animals and travelling and sometimes think that I would have made a great female David Attenborough. I’m on a journey and hope to be able to help others along theirs. Please tell us about your blog, and what it means to you. Starting my blog was one of the scariest things I’ve ever done. When I started it, I was recovering from a writer’s block that had paralysed my creativity for several years, if not decades. I had no confidence whatsoever and no idea what to write or what about. All I knew was that I needed to write. It was a prompt over at Sunday Scribblings that made me write my first post and I have since then responded to prompts from several online communities. Somehow that’s my antidote to the writer’s block. I let go of the responsibility to decide what to write about and just go with the flow of the prompts. Sharing my poems at first anonymously with an anonymous online community made me feel safe and helped me to put myself out there. I can’t even begin to express how grateful I am to all the people who have since commented on my posts, made me feel welcome and held my hand while I was learning to walk on very wobbly legs. It’s been amazing and I slowly feel like I’m finding my feet. Can you remember writing your first poem? Can you tell us a little about it? That was as a teenager but I can’t remember the very first one. I was writing a diary anyway and then started to write poems as well. I never showed them to anyone, though. Will you give us some insight into your style of writing, or the style/form you prefer. I like rhyming but I don’t think I’ve found my style yet. I admire poets who write beautifully flowing poems that don’t need to rhyme at all. Are there any styles of poetry you find difficult or annoying, and why? I’m struggling with Haikus. I don’t know why. I think I just don’t get them although I have come across one or two brilliant ones that just said everything there was to say in a few little words. So there’s hope. Who knows, maybe one day I try myself at one. Yes, I also just ramble sometimes on my blog. But what I would really like to write as well as poems are stories. But there’s a genre specific writer’s block in that area that I haven’t been able to lift yet. Maybe I’ll join a course or something to get myself going? Any ideas or advice on how to get started for a story virgin like me? What poem, written by you, do you like the most, and why? I generally prefer poems to poets. There isn’t a poet of whom I could say I like everything or even most of what he or she writes (myself included) but there’s lots of poems by different poets that I love. No, but I think it would be nice to have one. Do you have a favorite place to write? Are there certain emotions that inspire or trigger writing? I don’t have a favourite place. I write a lot at night and I prefer writing on a PC to hand writing because it’s so much easier to play around with the words and change things. Because I’m mostly writing in response to prompts, whatever needs to be expressed finds its way into the post, so no, there aren’t any specific emotions that trigger my writing. I like all sorts of music and it depends on my mood. When it comes to dancing however, it’s definitely house music. I don’t have a favourite book but I do have favourite authors: T.C. Boyle, Hermann Hesse and Paulo Coelho. I like almost everything these three have ever written. Do you have a favorite quote that inspires you or your writing? I actually came across a fabulous writing quote shortly before starting my blog and it is now one of my favourites because it is so true: “The worst thing you write is better than the best thing you didn’t write.” Unfortunately I don’t know the author of it. No, not yet. But who knows what might happen. If you could have dinner with any famous deceased person, who would it be, and where would you dine? I’d love to have joined Hermann Hesse and his writer friends for dinner at his house in Montagnola, Switzerland. I can only imagine the inspiring conversations they have had.